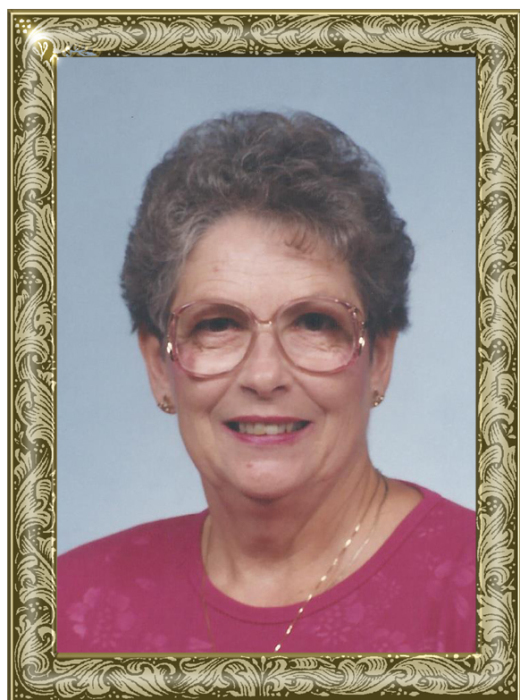 Mrs. Lula “Dumpy” Warren, 84, of Liberty Church Road, Taylorsville, went to her heavenly home surrounded by family, on Wednesday, April 10, 2019 at Iredell Memorial Hospital. Mrs. Warren was born November 9, 1934 in Iredell County, the daughter of the late Frank Davidson and Noma Payne Davidson. She had worked in the cafeteria at Hiddenite Elementary School for over 20 years. She was a faithful member of Mt. Wesley Church, where she was a Nursery Sunday School teacher for many years. She was a former member of the Gideon Auxiliary, enjoyed cooking large meals and inviting her family and friends to come and eat. She also loved to work in the garden and she dearly loved her four grandchildren. Including her parents, she was preceded in death by: her husband, Roy Lee Warren; two sons, Roy Lee Warren, Jr., Roger Dale Warren; a sister, Evelyn Goodin; a brother, Bill Davidson. Those left to cherish and honor her memory include: her son, Timothy Wayne Warren and wife, Jewel, of Taylorsville; a daughter-in-law, Susan Warren of Taylorsville; grandchildren, Sgt. Weston Warren stationed in Okinawa, Japan, Anna Warren of Union County, Cody Warren, Hope Warren both of Taylorsville; two brothers, Junior Davidson of Statesville, Bobby Davidson and wife, Alice, of Statesville. The funeral service will be held at 4 p.m., Sunday, April 14, 2019 at Mt. Wesley Church. Revs. Eric Yelton and Scott Atkins will officiate. Burial will follow in the church cemetery. Memorials may be made to: Mt. Wesley Church Building Fund. Adams Funeral Home and cremation services is honored to be serving the Warren Family.